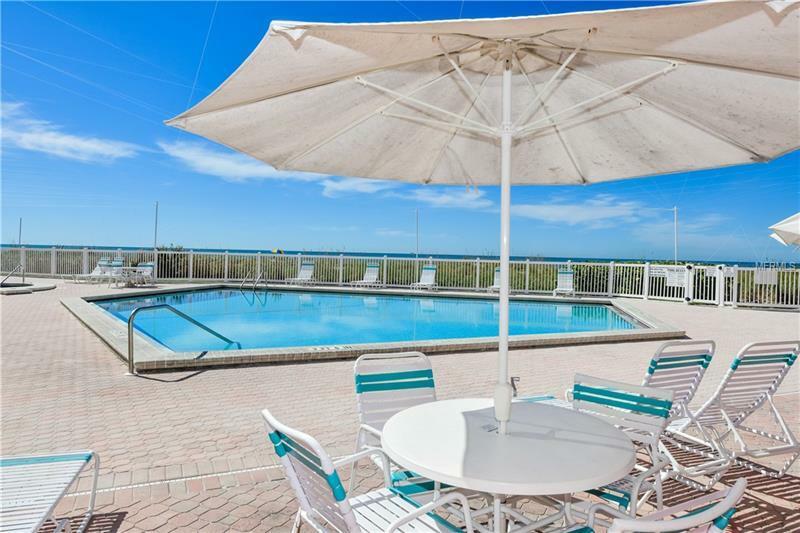 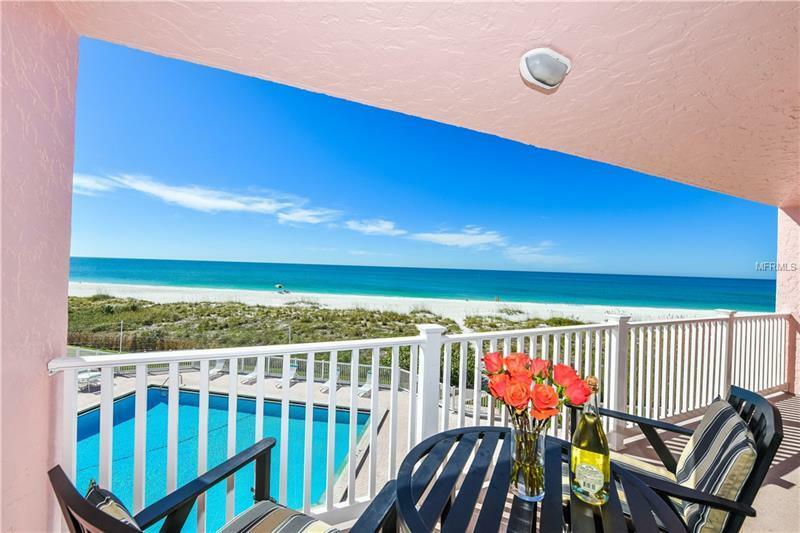 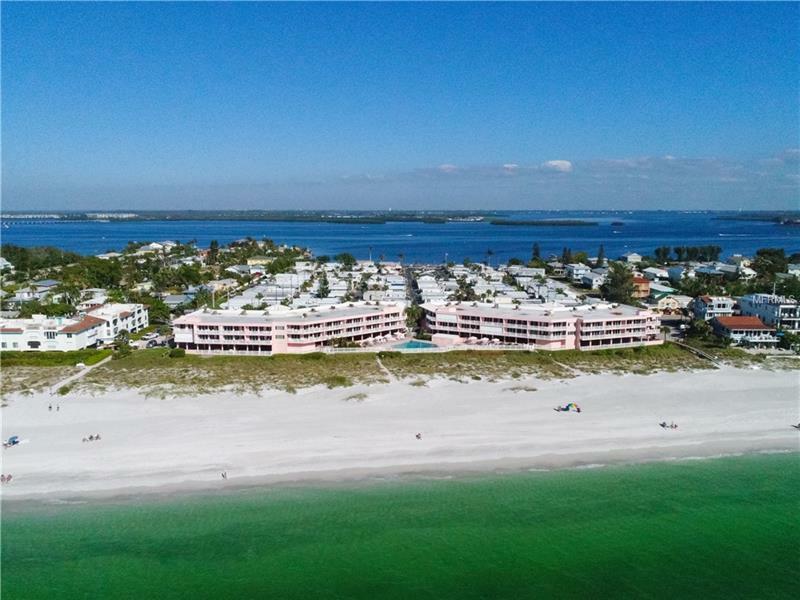 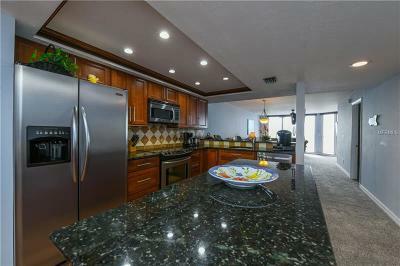 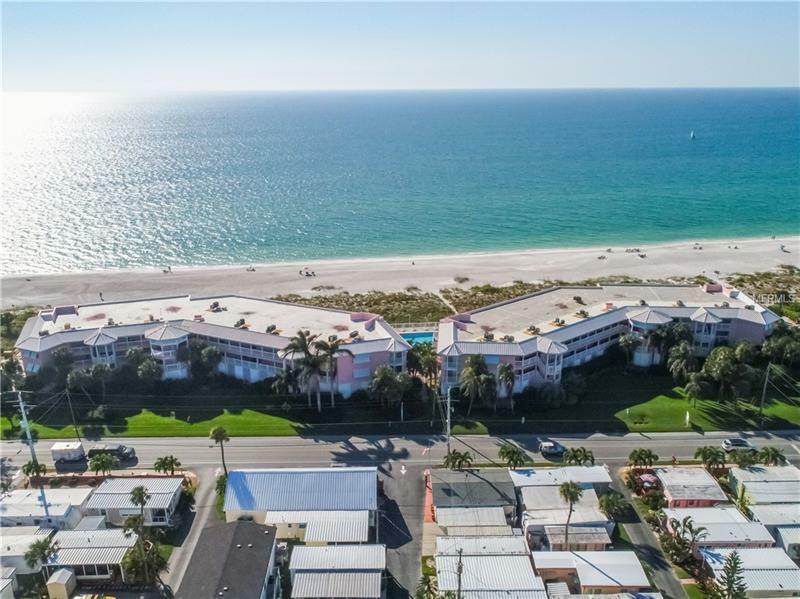 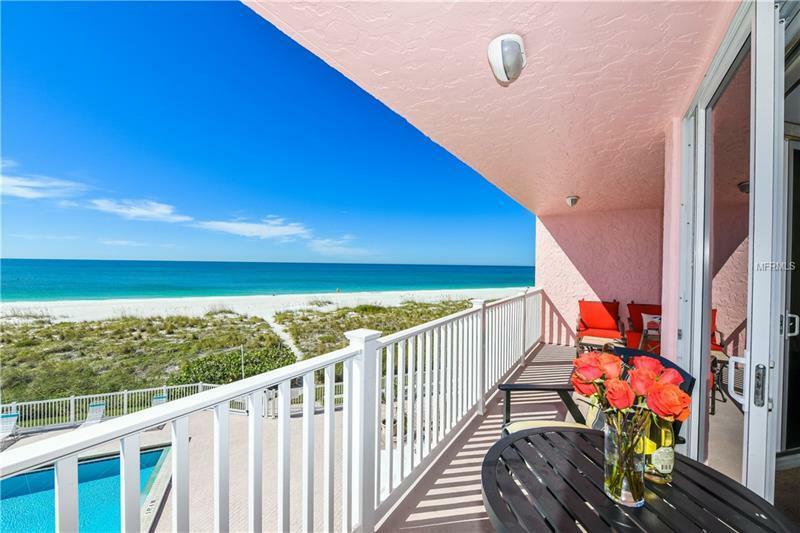 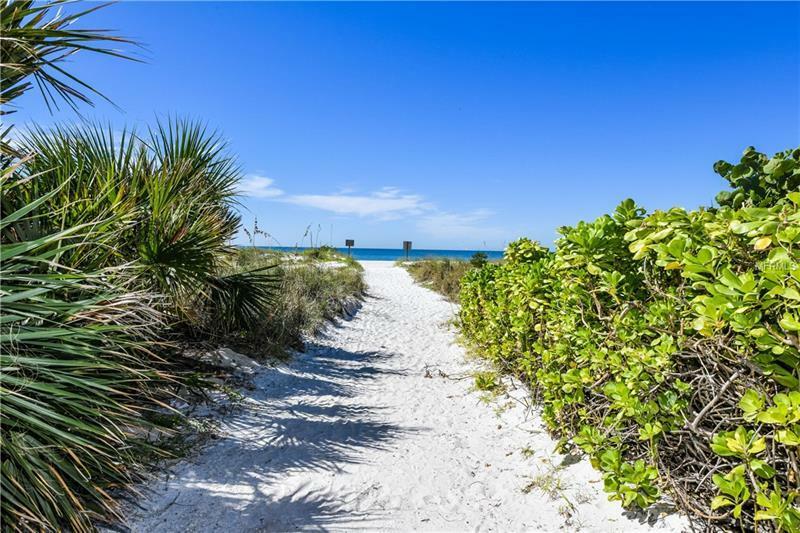 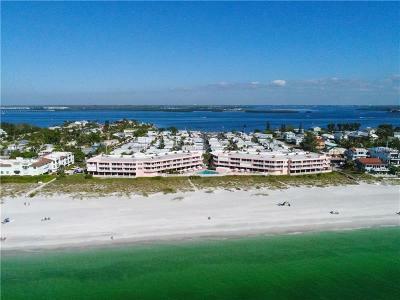 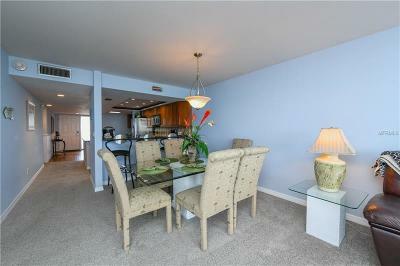 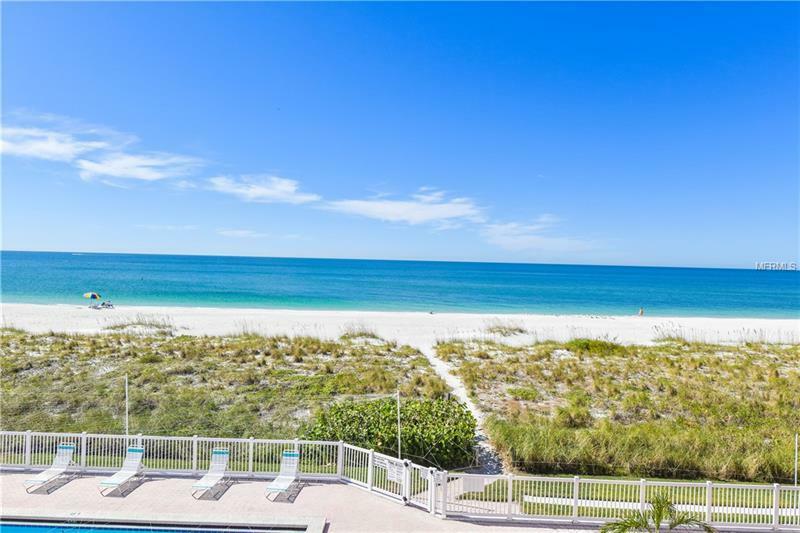 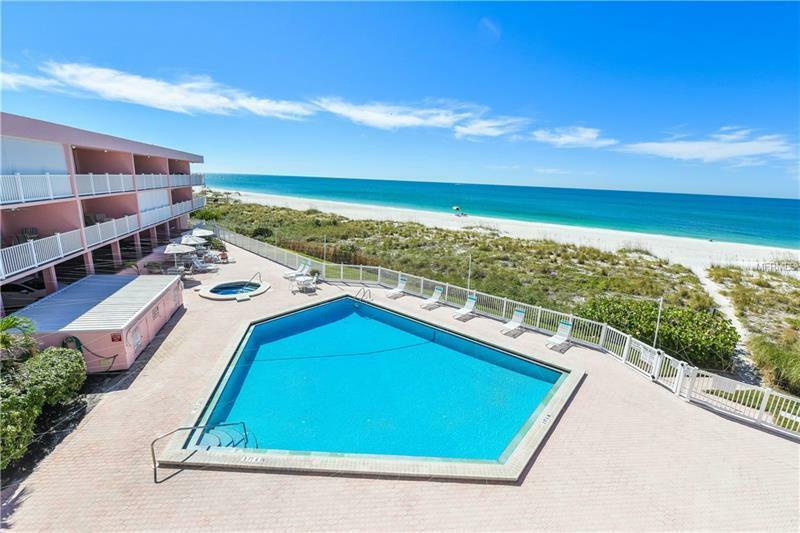 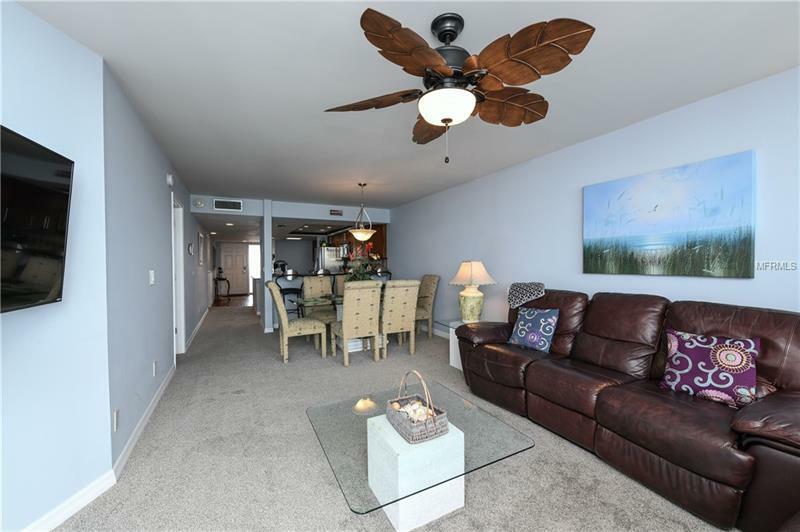 Exceptional views of the beach & Gulf of Mexico from this updated 2 BR/ 2 BT unit in the "Anna Maria Island Club". 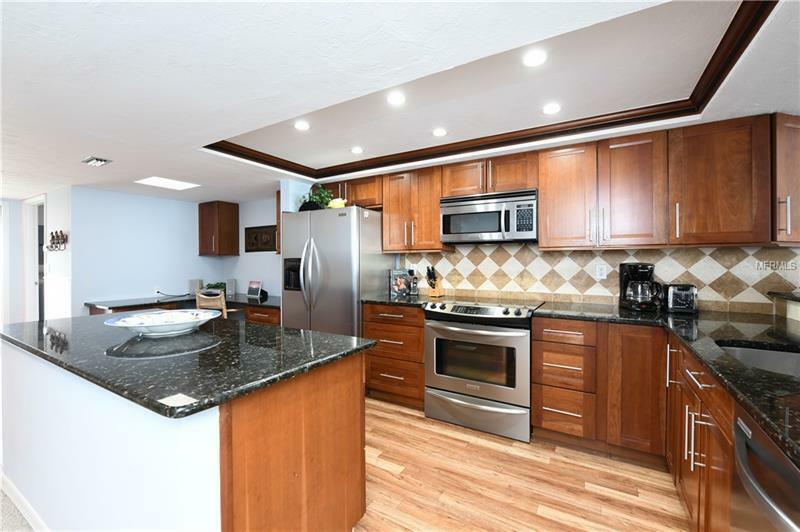 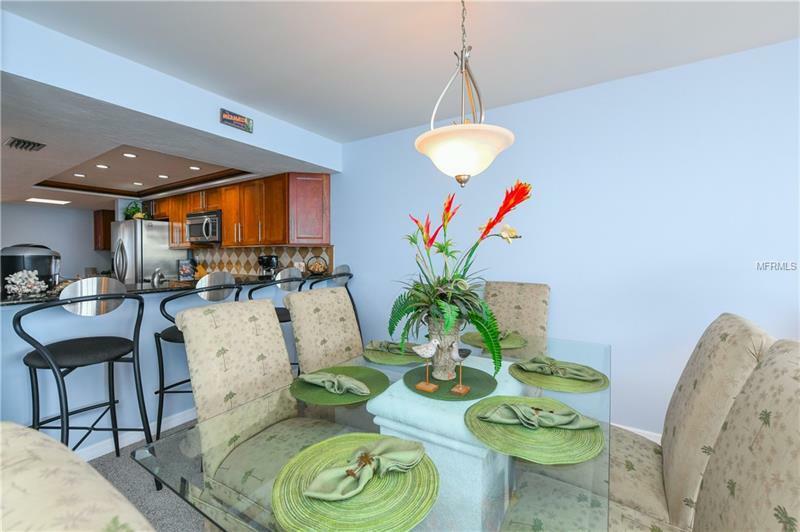 This preferred floor plan offers an updated kitchen with solid surface counters, wooden cabinetry and breakfast bar. 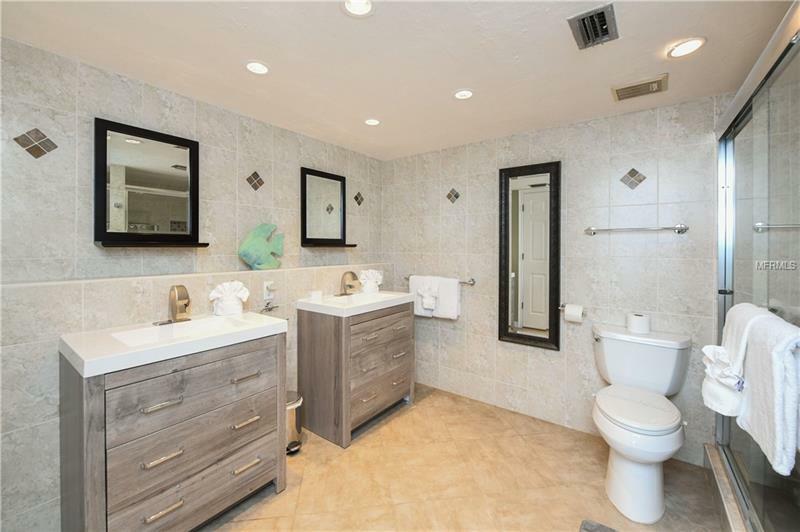 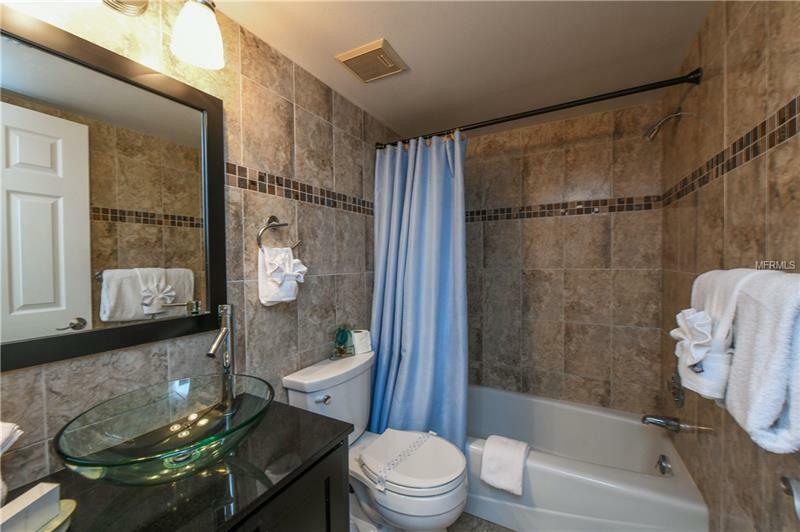 New carpet, fresh paint and new bath vanities installed Dec. '18. 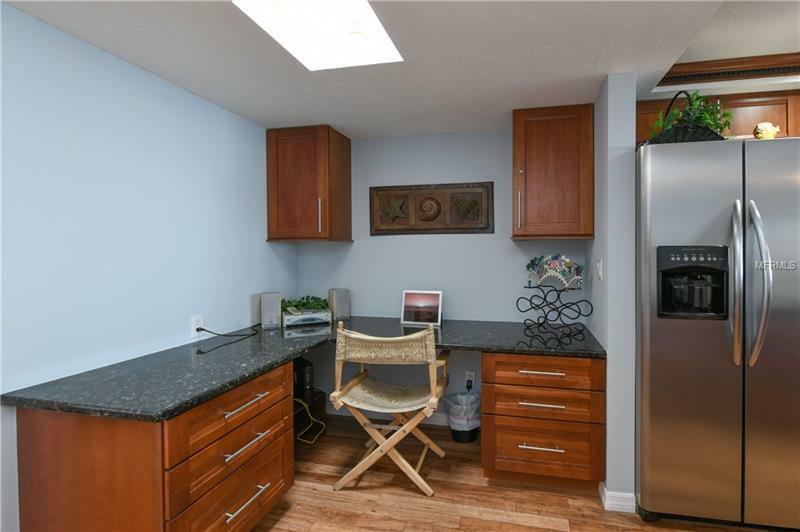 An office area, a separate laundry room and pantry are located just off of the kitchen. 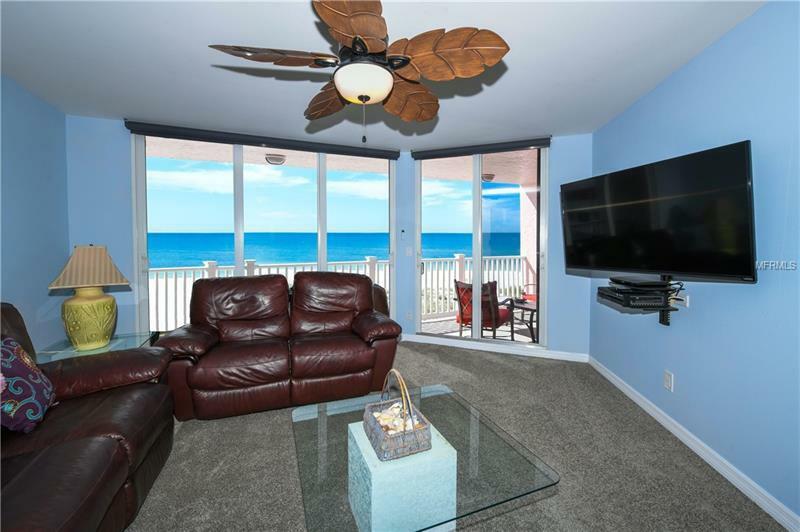 Enjoy the gorgeous views of the water from every room! 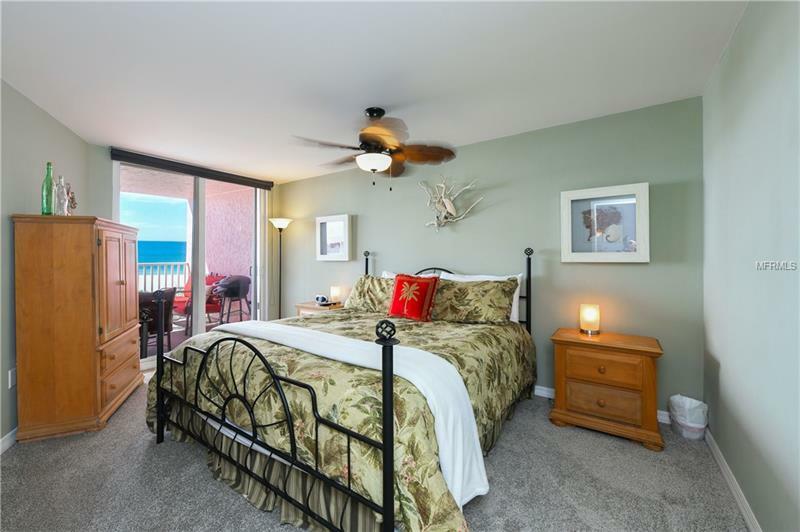 The master bedroom offers a spacious, updated ensuite bath and beach-side balcony access. 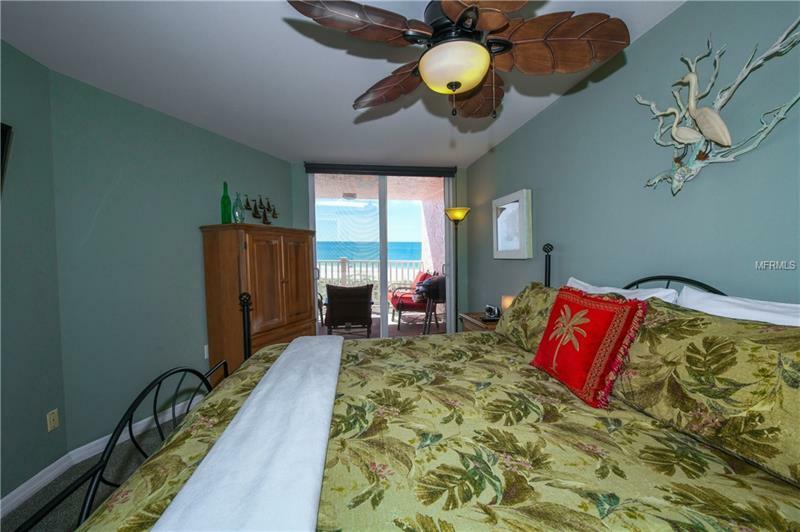 The guest bedroom has peeks of the bay. 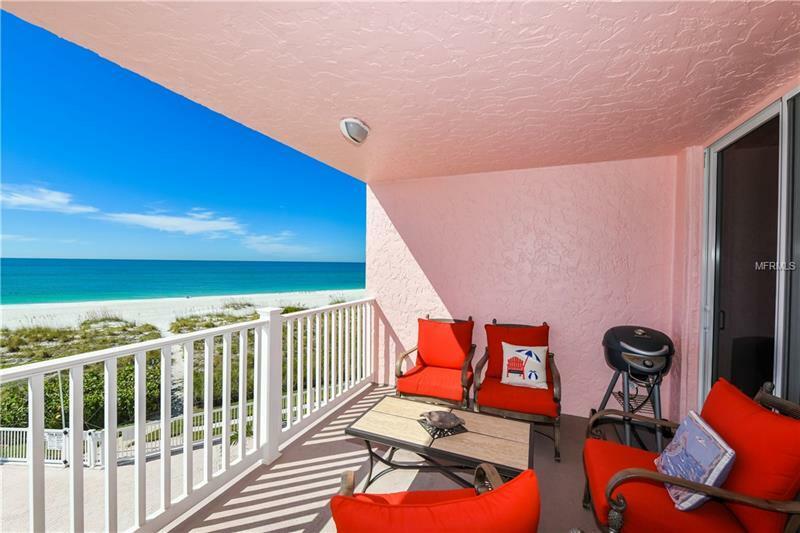 Take in the colorful sunsets from the covered patio with bistro set & comfortable lounge seating. 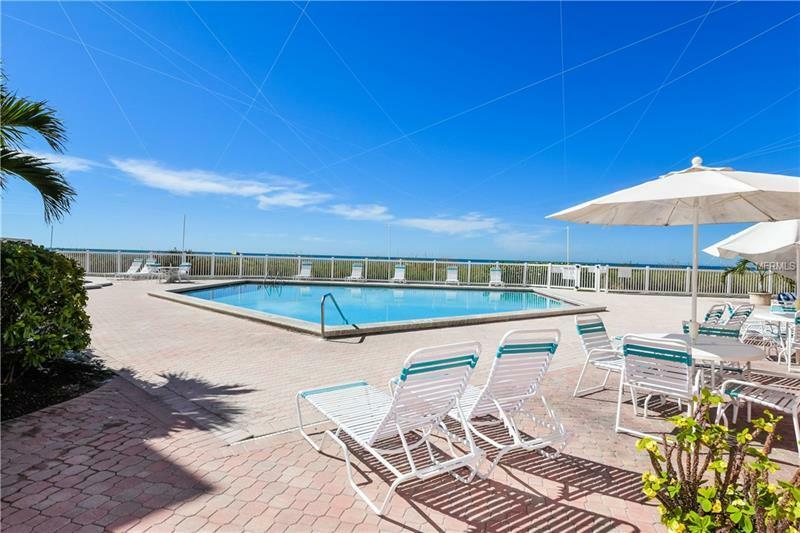 Complex offers a secured entrance, covered parking, an elevator and a huge, beach front, heated pool complete with sun-loungers and a hot tub. 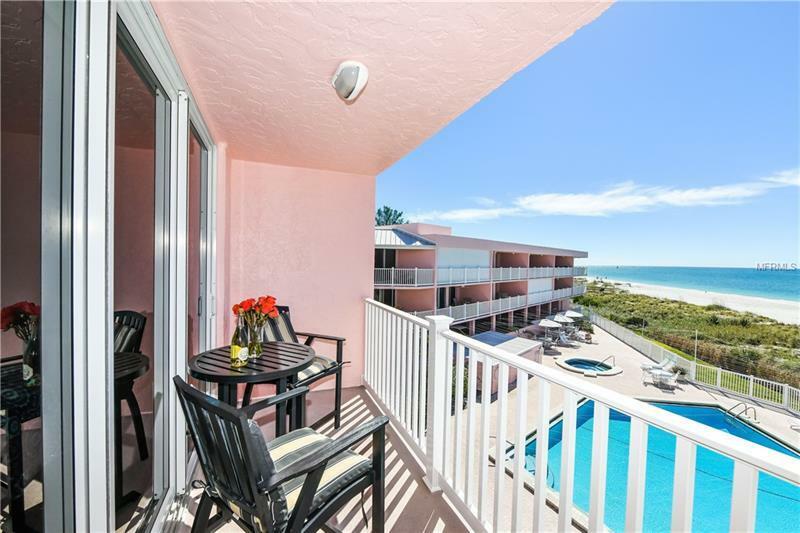 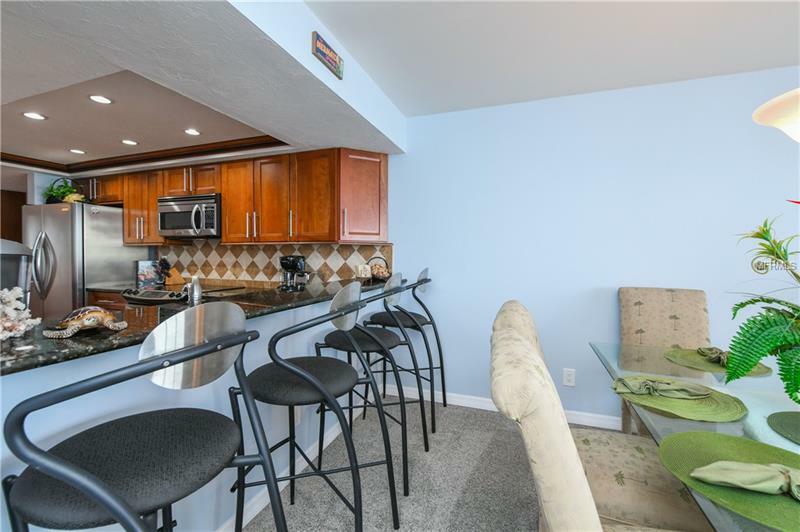 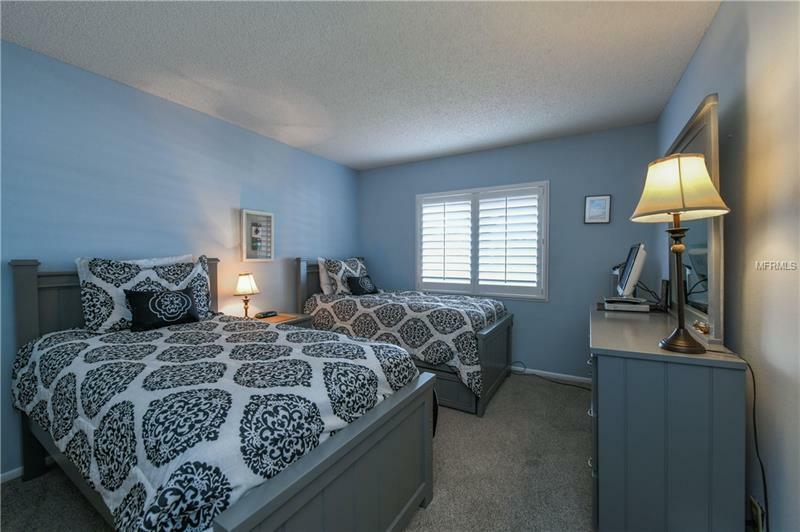 This unit has a strong vacation rental history. 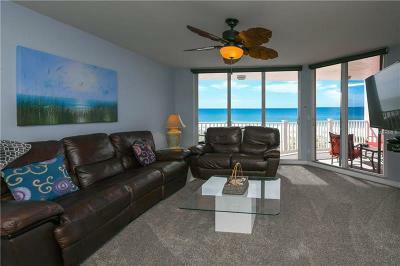 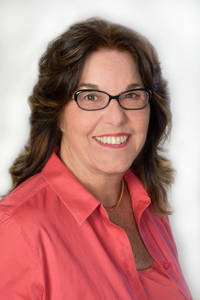 Selling "turn-key" furnished. 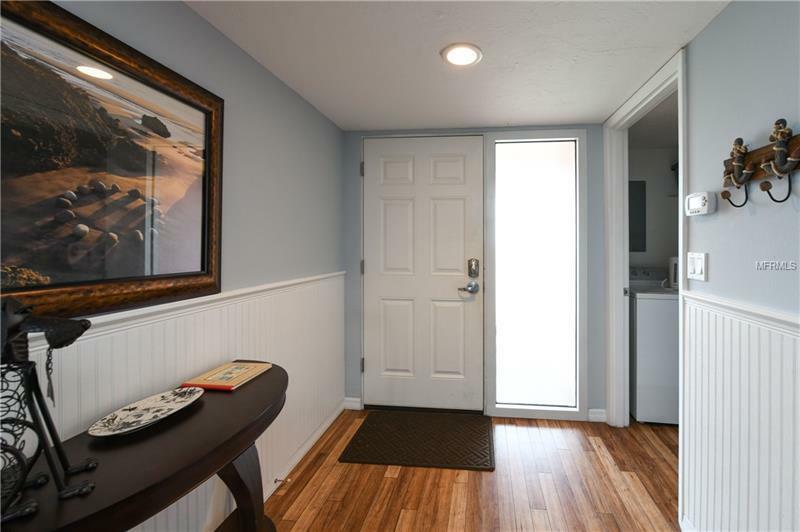 Pet Restrictions: Renters not allowed to have pets. Owner's pet must be no more than 30 lbs.